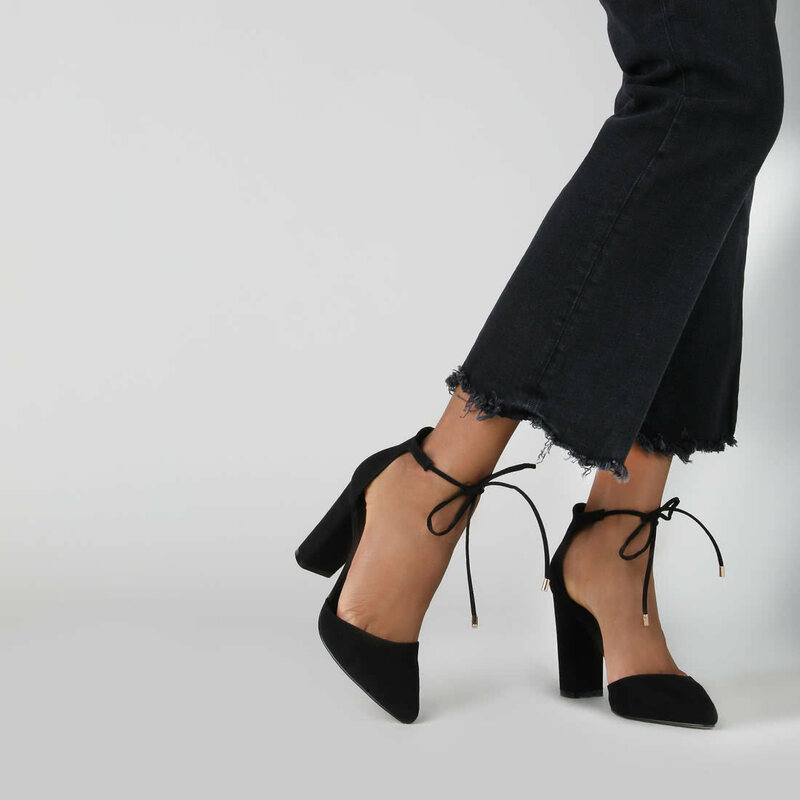 The Belle Pumps by Buffalo sway with feminine elegance and playful details. 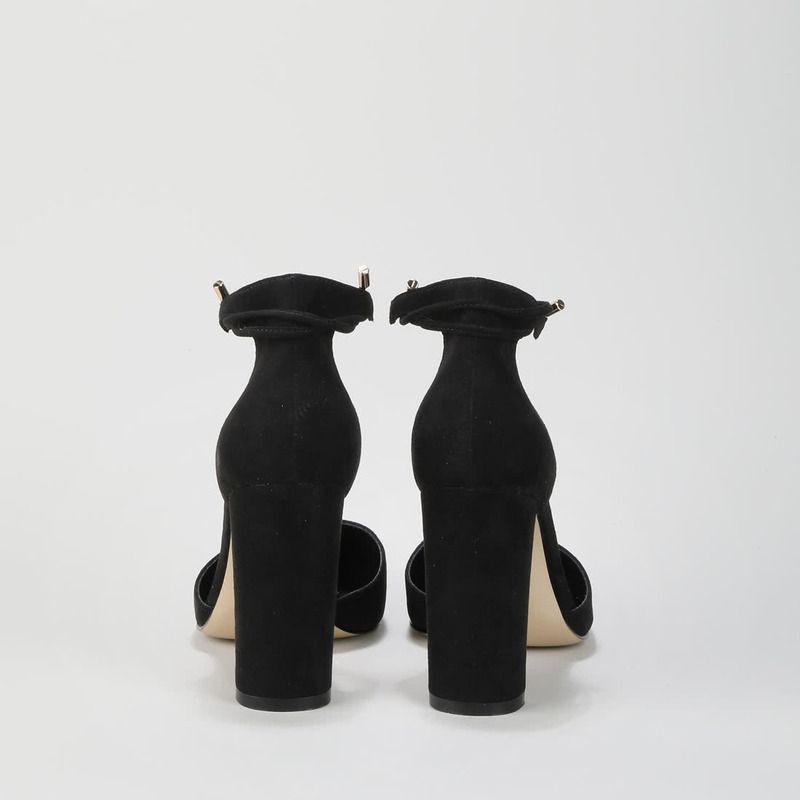 A black suede look, a slightly tapered toe, and a fine ankle strap completely make ends meet. 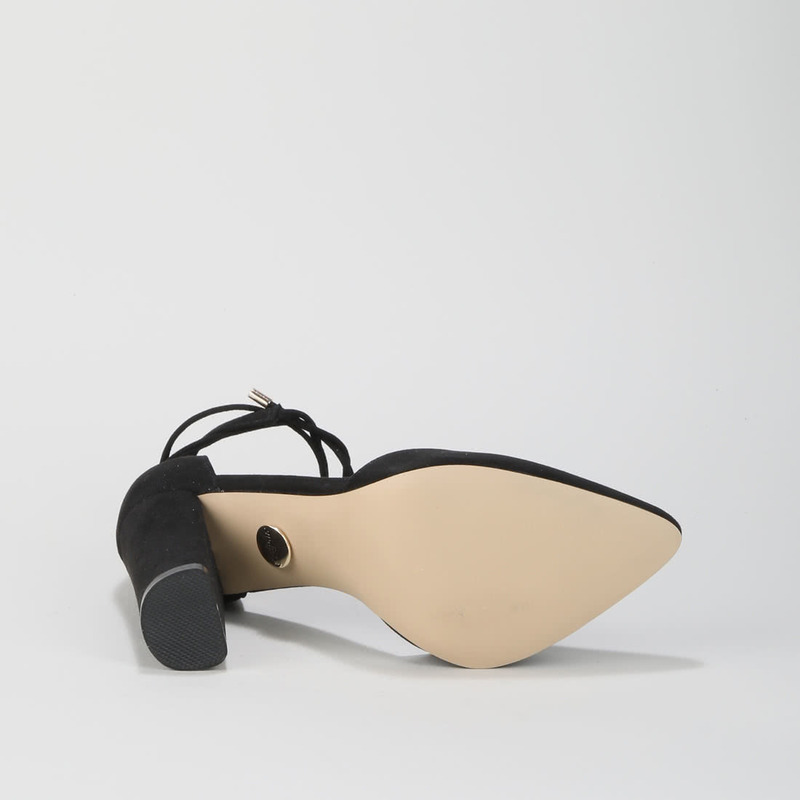 Rounded off by a comfortable block heel, the pretty pair wears comfortably all day long.